Many clients are looking for a system that can meet several different business requirements. They want to centralise their lease database, and have a repository of all lease documentation, as well as comply with the requirements of the new standard. An intuitive interface with a full overview at various levels. Comprehensive IFRS 16 functionality including forecasting, modifications & journals. The ability to export and import with ease, view & analyse advanced search data. Why wouldn’t you want to meet LOIS? IFRS 16 transition and report: LOIS can handle all transition methods and exemptions with ease. Run different scenarios so you can model each transition method and assess the impact on key financial statements. All leases & data in one place: The user dashboard provides you with a consolidated overview of all the active leases within your organisation. Simple to add leases: Upload your lease data with ease, LOIS can manage Property, Fleet and IT equipment. 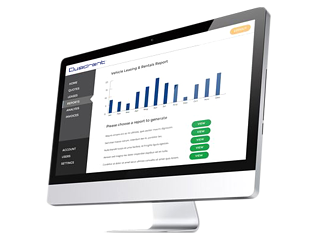 Ensure all your critical lease information is centralised in one place. Manage lease life-cycle: All in-life lease amendments are catered for and cover all modifications. Amortisation & depreciation schedules: LOIS will also generate the complex calculations and all transition options with ease, whilst providing full general ledger functionality and a comprehensive audit trail. Workflows, multiple users & hierarchy: Create multiple user accounts with customised access levels so you can work with the real-time data you need. LOIS is designed for everyone in your organisation who is involved with leasing.